Jannajoe Jenson McKee passed away at the age of 59, lovingly surrounded by family in her home on March 30, 2018. Janna was born February 24, 1959 in Ogden, Utah, to Joseph and Ann Eddy Jenson. She was the third of seven children and enjoyed spending time with her family in their Arbon Valley home. Janna attend Ricks College after graduating from Malad High School. 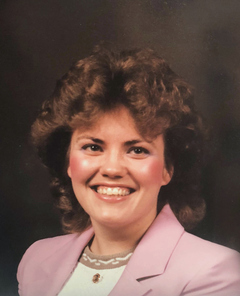 She met Clay McKee at the LDS institute in Pocatello and the two were wed for Time and All Eternity in the Idaho Falls Temple on September 21, 1978. Clay and Janna had six children during their nearly 40 years of loving marriage, whom she cherished with all her heart. While her children were always first in her heart she also loved music, serving others, and her Savior, Jesus Christ. She was welcomed in death by her father, Joe Jenson; her in-laws, Bob and Leona Potter McKee; and her brother-in-law, Chris May. She is survived by her adoring husband, Clay; her sweet mother, Ann Eddy Jenson; her children, Laura (Steve) Hulin, Clayton McKee, Kathryn (David) McNabb, Phillip (Katie) McKee, Rachel (Zachary) Southwick, and Mary McKee; as well as siblings, Lorie (Dean) Blaisdell, David (Sheri) Jenson, Christine Sutherland, Joseph (Julie) Jenson, Victoria (Shawn) Furniss, Jennifer (Bryan) Horsley; and 12 grandchildren. Her family would like to thank the compassionate staff at Heritage Hospice and supportive, loving family and friends. Funeral services will be held Friday, April 6 at 11:00 am in the Bringhurst LDS Chapel, 147 Bringhurst St., Chubbuck, Idaho. A viewing will be held from 6:00 to 8:00 pm on Thursday, April 5 at Colonial Funeral Home, 2005 S. 4th Ave. in Pocatello and on Friday, April 6 from 9:30 to 10:30 am at the Bringhurst LDS Chapel. The burial will take place at the McKee Family Cemetery in Inkom, Idaho. We will be holding a celebration of Dale Purdy’s life at an informal gathering for friends and family from 4-7 (open house) at Denise Purdy’s house in North Ogden on Saturday, Sept 16th. If you have any memories of Dale you would like to share, bring them to Jenette and she’ll share them with her family. David Andersen, 80, passed away peacefully at home on Thursday, August 24, 2017. He was born April 2, 1937 in Pocatello, Idaho. He was the 3rd of 6 children born to Willard and Mamie Andersen. 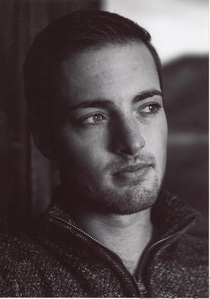 David attended grade school in Arbon and Pocatello. He graduated from Pocatello High in 1955. David loved to work on the farm in Arbon. He could drive the team of horses from the age of 6-years-old. David was a hard and talented worker and could do just about anything he set his mind to doing. David was an active member of the Church of Jesus Christ of Latter-day Saints. He was a great teacher and Bishop along with all the other callings he held. He was compassionate to everyone and loved by all. David married Karen Mathews April 2, 1965 in the Idaho Falls, Idaho Temple. They were married 52 years. David is survived by: his wife, Karen; son, Troy (Linda) Andersen; grandsons, Sean and Cory all of Pocatello; daughter, Shana (Shane) Sandal; granddaughter, Megan; grandson, Logan all of Peachtree City, GA. He is also survived by: his sisters, Patsy (Ronald) Clark, Julia Dee (Kenneth) Starr and brother, Lynn (JoAnn) Andersen. He was preceded in death by: son, Rocky Andersen; parents, Willard and Mamie Andersen; and brothers, Jack and Allen Ray Andersen. Services will be held at 11:00 a.m. on Friday, September 1, 2017 at the Century Ward LDS Church at the corner of 4th & Fredregill. A viewing will be held from 6:00 to 8:00 p.m. on Thursday, August 31st at Wilks Funeral Home 211 W. Chubbuck Road and one hour prior to services at the church on Friday. Interment will follow services in the Arbon Valley Cemetery. Condolences may be sent to the family online at wilksfuneralhome.com. Neil Dean Andersen was born on September 10, 1994 to Ardean and Melissa and joined his brother Mark. From the beginning Neil never took small steps. Even before he could walk well, he broke his leg but that never slowed him down. He showed his tenacity to keep going and learned to move across the room even though he was in a body cast. He always looked up to brother Mark and couldn’t wait to follow in his brother’s footsteps. He learned to show steers while watching his brother and was anxious for his turn. He loved his brother deeply. His love of animals was ever present. He watched hours of the Animal Planet channel. He decided he wanted to buy miniature goats and then researched everything he could about them. He then raised and sold goats. He went on to raise husky dogs, after hours of research of course. He was an active member of FFA in high school and as in all things gave it his all. He enjoyed working in the greenhouse. He became interested in breeding and raising show steers and once again researched. He was very successful and was so happy to get Grand Champion his senior year of high school. Neil was in high demand to help fit steers for showing. One of the highlights of his life was going to the Denver Stockman Show with Nathan Bushman. 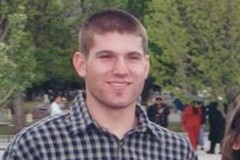 Neil attended the University of Utah for two years following high school. Again he was very active in the animal science program. Neil was a rancher from a very young age. He knew the cows! It didn’t matter which ranch he was working on, Neil knew the cows through and through. Neil loved fishing. Nothing made him happier than to have a fishing pole in his hand, unless it was to go hunting. He loved hunting too. Neil loved deeply! He was best friends with so many, too many to list. The top of that list though would be his siblings Mark and Jennifer Andersen, Morgan Olson, Kirk Olson, and Makenzie Olson. Oh, the adventures they had!! Neil had a huge love for his niece, Payton and nephew, Eastyn. Neil met the love of his life, Kyzer on FB through his sister Makenzie. Kyzer soon taught Neil about trick riding. Neil was so excited about traveling and helping Kyzer with his shows. He was so proud of Kyzer! They became engaged and were looking forward to planning their life together. Their love was amazing to see! Neil said recently, “Everything is perfect in my life! Everything is falling into perfect place. I’ve never been happier!” He had such an amazingly contagious smile! He was full of life and energy! Neil left us suddenly on Tuesday, August 22 at the age of 22. His passing has left a huge hole in many lives. Neil is preceded in death by grandfather Dean (Pops) Andersen. He is survived by fiance Kyzer Stoddard, parents Melissa and Greg Olson, Ardean and Marilyn Andersen, siblings Mark and Jennifer Andersen, Morgan Olson, Kirk Olson, Makenzie Olson, niece Payton Andersen, nephew Eastyn Andersen, grandparents LaRae (Mumzy) Andersen, Duane and Linda Whitworth, and aunts LaNell Andersen, Wendy (Troy) Ward as well as numerous cousins, friends, loved ones and his many animals that he loved so dearly. A Celebration of Life will be held 11:00 AM Monday, August 28 at the Power County Fairgrounds Rodeo Arena in American Falls. Interment will be in the Arbon Valley Cemetery.